The Milwaukee solenoid valve comes with a 1.5 meter power cord and fittings and is suitable for use with the MA957 CO2 Regulator. Instructions: Perform a visual inspection to ensure that all cables and electrical connections are in good conditions. Please do not connect electrical power if any of these parts are damaged. Connect all the necessary connections, including port A and port B. Please ensure that all connections are tightened properly. After ensuring that everything is connected and properly secured, connect the power plug. If power (AC 100V ~ 230V) is present, the solenoid valve will be opened. If power is disconnected, the solenoid valve will be closed. 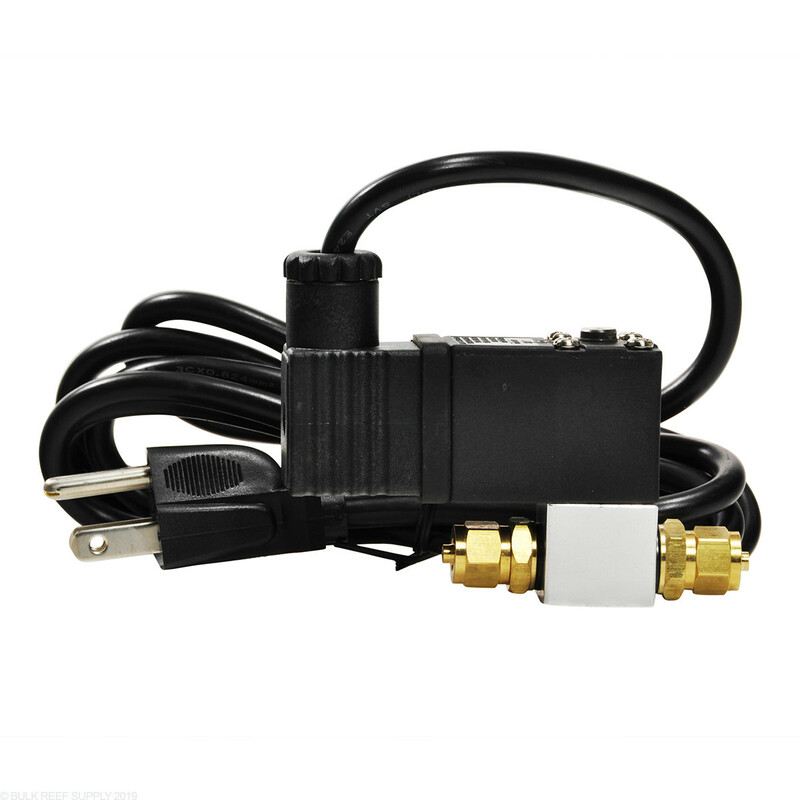 Please Note: Sometimes the solenoid valve is open before the power is connected, and gas starts to flow through when the gas connections are connected, please connect the power once and disconnect the power again to reset the position of the solenoid, which is supposed to be closed when power is absent and open when power is present. Easy to setup! Works great! Simple, small, heavy... I have this rigged to my Fluval 88 co2 system on my little 2.5 gallon planted tank. Much like all other companies, I am called to leave a review on the product after just receiving/applying the product. So far, it's preforming as desired. It does not have any hanging mounts or any attachment to keep secured to the side of the tank stand, so I used some adhesive to stick to the side of my stand. It can be attached to ADA's brand of Clear Parts Set of co2 tubing! And like always, thanks BRS! Will this work with a Aqualine Bushke Regulator? Unfortunately we are not familiar with the Aqualine regulator and cannot confirm the size which will fit. While the tubing will fit often the housing will be a different size. Feel free to let us know if you have any further questions. What is the input range for the Solenoid, 100-240V? Hi, can you tell me what size tubing this solenoid valve accepts? 4/6mm? something else?